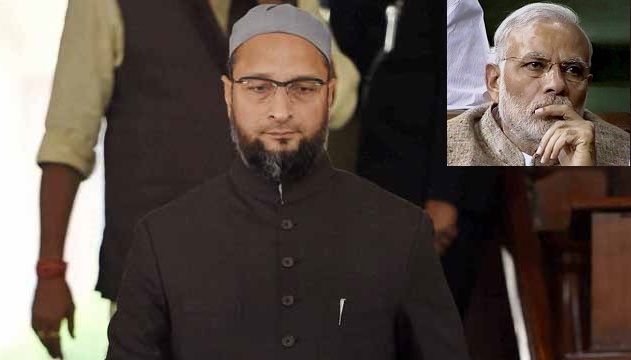 New Delhi: All India Majlis-e-Ittehadul Muslimeen chief Asaduddin Owaisi said, right to life for Muslims in India must be protected as the constitution provides equal fundamental rights to every citizens of the country. Participating in a discussion on ‘Commitment to Constitution’ as part of the 125th birth anniversary celebrations of Dr. BR Ambedkar in the Lok Sabha, he said no one in the house would deny that “right to life was abused many a times against minorities in the country”. Asaduddin Owaisi, quoting Mr Ambedkar’s speeches, tried to remind the Lok Sabha how fundamental rights, especially the right to life, was denied to the minority communities. “Is the prime minister not for Muslims?”, he asked while criticising the union ministers and NDA leaders for making “communal statements” on various occasions. “What is secularism? Let them define it,” he said while pointing towards the treasury benches. He said Prime Minister Narendra Modi must fulfil his constitutional promise of being prime minister of every community in the country.